Born in Norwich in the early sixties, this youngest of five lad was exposed to many kinds of music in his siblings record collections & is a devout T.Rex fan to this day. Most of his teenage years were spent scouring the racks in secondhand record shops, discovering untold gems in the process. Stef has played guitar & bass in many local groups over the years performing various styles of music, but his heart is firmly planted in the blues. In 2014, he got the opportunity to present his own show on Bless Internet Radio, giving him the chance to fulfil a childhood fantasy. 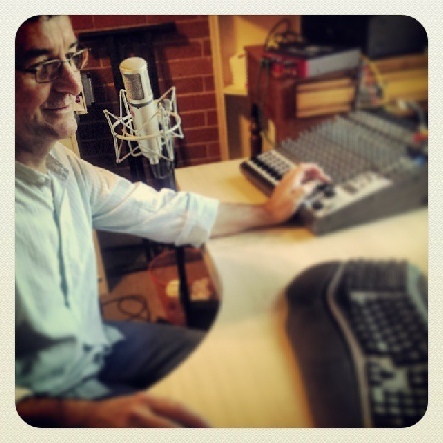 With the help of dear friend and fellow DJ Alex Beckhelling, he landed a two-hour slot on a Tuesday evening and five years on (with Alex’s help once again), Stef can revive his show here on West Norfolk Radio. “I’ve got some amazing music in my collection & I only got to scratch the surface at Bless, so I’m really looking forward to picking up where I left off. I’m a big fan of stuff like Whistle Test & Radio Caroline & what they represent ~ music for the discerning listener and the opportunity to hear good stuff you never knew existed.